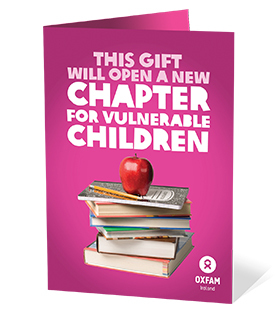 This gift will open a new chapter in a young person’s life. It’s an amazing gift – access to the education they need to learn and grow so that they can lift themselves out of poverty. Education is a gift for life for generation after generation. The money raised by this gift will go into our Investing in Futures fund, supporting a wide range of life-changing programmes that help people access vital services like education and healthcare. You’ll be helping people like Rose and her three daughters who live in Korogocho, an informal settlement in Nairobi, Kenya. She is raising her family by herself and runs her own food business to make sure they have a bright future. Oxfam’s partner is supporting Rose to grow her business and thrive, providing relevant training and empowering her to claim her rights as a woman and a business owner. 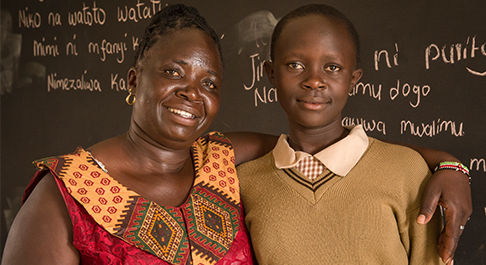 Today, Rose supports other women to do the same and proudly sends her girls to school.